1. How safe are private jets? This one’s very common, with a lot of people assuming that private jets are dangerous after reading about an accident. With trained pilots, engineers, and crew correctly following procedures, private jet travel is just as safe as any other form of air travel. 2. How many planes are needed in the fleet? People are often afraid of asking this because they think they won’t be able to afford the required number of jets for a successful business. Well, good news for them: there is no required number! It all depends on your plans for your business. 3. What are the taxes like? Two things are certain in life: death and taxes. And we all know which is scarier! There are always schemes to pay less in taxes, and with a good tax attorney at the helm your taxes might not be as much as you think. 4. Where should I set up my business? Again, this really depends on the individual and the business’ needs! The most important thing here is to do your research and find out how much demand there is for the type of business you are considering. 5. What about insurance? Yes, buying a good insurance policy can be expensive, and thinking about events when you’ll need that insurance to kick into place can be an even scarier thought. However, it’s an absolute essential, and you’ll be thankful you have it if you need it. 6. Are lawsuits common? Unfortunately, the private jet charter industry is very prone to lawsuits. But, with a good legal team ready to help you out, you don’t have anything to be scared of. 7. How sustainable is it? Like any business, owning a private jet charter business is easily sustainable with proper planning. 8. Can I enter the industry without credit? It all depends on your budget and your financial records. 9. What if it fails? This is probably the scariest question of them all. Luckily, it’s not something you’re likely to find out if you’re well-informed and plan ahead. 10. Is it possible to keep a balanced budget? Yes, it is absolutely possible! Just make sure to hire an accountant to balance your books. 11. What happens when there’s a drop in customers? You can either upgrade, revamp, or invest in marketing and commercials. There are always options. 12. Is it a worthwhile investment? Absolutely it is. Just think of all the potential if you proceed with a proper plan and solid research. 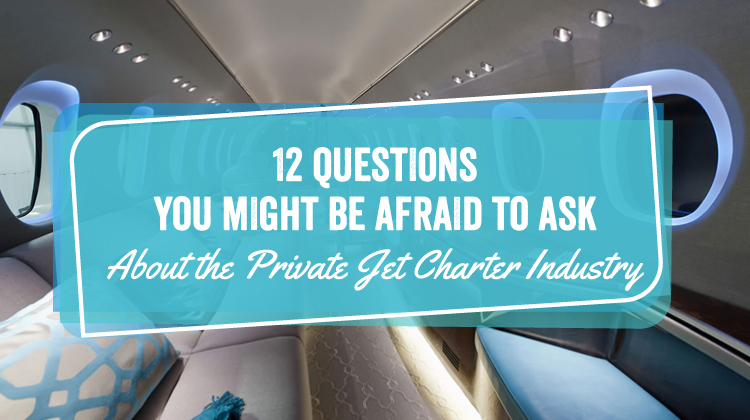 Admittedly, private jet charter can be a pretty tough industry, but with these questions answered you’ll have a much better idea of what to expect on your road to success.